For those of you who don’t know, Greg and I own two single family properties nearby in the town I grew up in. Both are on fifteen-year mortgages with quite a bit of equity already. I haven’t run the numbers lately, but I’m pretty sure both will be paid off in around nine years if we continue on our current path. That’s a little bit after the mortgage on our primary home will be paid off, and it’s just in time for us to turn 45-years-old. Since we hope to be able to retire when we’re fifty (we’re both 36 right now), having our home paid off along with our two rentals at age 45 will put us in a pretty sweet spot. Still, we often wonder if three rental properties wouldn’t be better than two. With interest rates remaining low, we have considered buying another property in our current town. While prices are higher where we live now, rents are plenty high to make up for it. Lastly, we have quite a bit of cash on hand – and that’s even after maxing out retirement accounts, saving for college, and paying extra towards our mortgage. So, why not buy another property? Before I dig into the details of our local real estate market, let’s take a moment to remember I live in Central Indiana. Housing prices are generally low here, which is why real estate is such a strong investment to begin with. Rents are also lower as a result, but not low enough to make being a landlord unprofitable. The key to making it work is finding the right property and pricing it so you’ll earn some extra money every month – plus have cash on-hand to take care of vacancies and repairs. The two rental properties we own now are worth around $90,000 and $115,000, respectively. Both are three-bedroom with a living area and kitchen area, but the larger home has a second bath. To get a property in our new area, we would have to spend that at a minimum, but would plan to spend between $110,000 and $135,000. To buy a property as a rental, we would need to put down at least 20 percent. That’s not a problem at all considering our current cash flow situation. Another detail to consider is the fact that we definitely want a 15-year mortgage. If we want this property to help us retire early, it needs to be paid off around the same time as our others and, at the very least, before our early retirement goal age of 50. See Also: Buying a Rental Property – Cash vs. Mortgage? Once we decided to look, I starting pouring through the properties currently for sale. I haven’t found anything worth looking at yet, but with summer on the way, I know something could pop up at any time. To give you some perspective, I also looked up a few houses that could serve as an example of what we might buy when the time is right. House 1 is listed for $135,000 and has three bedrooms and two bathrooms. It’s only 1,208 square feet, but it has hardwood floors, a glass-enclosed patio, and a fenced in back yard. Considering local rental rates, this is a house that would rent for around $1,200 per month. 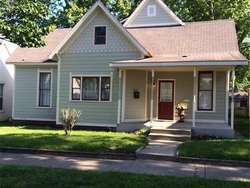 House 2 is listed for $125,000 and has three bedrooms and two full baths. It was built in 1900 so it’s extremely old, but it has been completely rewired and re-plumbed, and properly insulated to bring it up to today’s standards. It looks absolutely beautiful on the inside, and it’s huge at 2,531 square feet. Considering local rental rates, this is a house that would rent for at least $1,300 per month. Obviously, these are just two houses available in our current real estate market. Once we really begin our search, we’ll likely expand it to include Fishers, Indiana, a city with similar housing costs and rental rates. Still, this gives you an idea of what we’re working with. With low housing prices and high rents, we could do rather well. How do the Numbers Work Out? Without having a specific home to work with, we have to run the numbers using estimates. For the sake of coming up with something to share, let’s act like we’re buying house #2 – the three-bedroom home that could rent for around $1,300 per month. It’s currently listed at $125,000, so let’s say we pay full price and get the seller to pay for our closing costs. We’re not moving into the home and it appears to be move-in ready, so let’s assume we buy the home and put it up for rent right away without incurring any additional costs. Although the current fixed rate for a 15-year mortgage sits at around 3 percent, we’ll need to pay slightly more because this is an investment property and not our primary residence. As a result, we expect to pay more like 4.5 percent for a 15-year loan on any rental we buy. If we paid $125,000 and put down $25,000, we would wind up borrowing around $100,000. With a 15-year mortgage at 4.5 percent, property taxes at 2 percent of the sales price, and landlord’s insurance costing another $70 per month, our monthly payment would be around $1,050 per month for this home. That leaves around $250 per month for profit and repairs. Like with our other rentals, we would throw any excess funds we earned right back into the mortgage. We could get an all-inclusive 30-year mortgage payment for closer to $800 per month, leaving for $500 in monthly profit. Then again, that doesn’t really line up with our goals. I hated 30-year mortgages years ago, but even more so now that I’m 36-years-old! Should We Buy a Third Rental Property? Although I have been going back and forth over buying a third rental for a few weeks now, I’m starting to think that now is the time. Prices are still fairly low and interest rates are rather affordable. Plus, we have some cash on hand that needs a home. Lastly, I would really love to have an extra $1,300 per month to spend on myself during retirement in around 15 years from now. Wouldn’t we all? With the rental, on the other hand, we would have a paid-off property worth at least $130,000 within fifteen years. This property would pay out at least $1,300 per month – or $15,600 per year – straight into our hands. If we collected that $15,600 for fifteen years after our home was paid off, we would have another $234,000 and still be able to sell the property for a profit. And remember, that’s if rent never goes up over the course of thirty years. What are the chances of that? There will be a few vacancies in there, along with repairs and who knows what else. Plus, there are tax implications that come with buying and selling real estate and investing. Still, income properties have been great investments for us so far, making the benefits of what’s behind door #2 a little too hard to ignore. 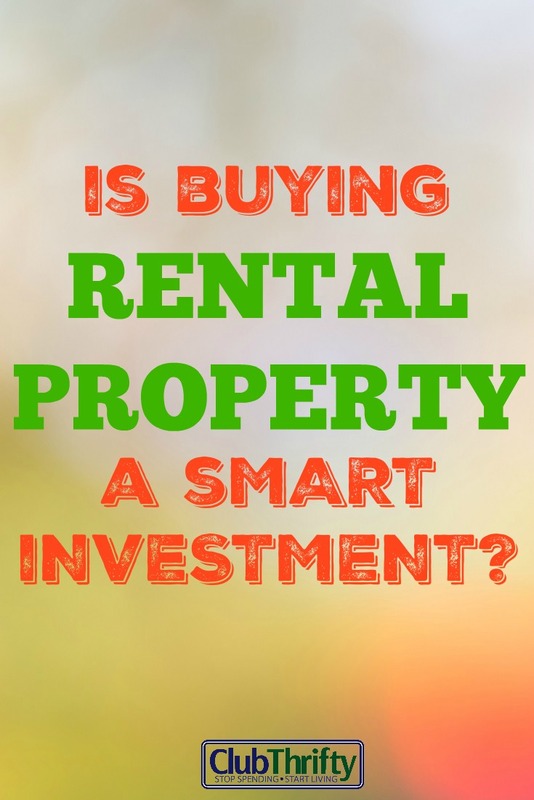 Should we buy another rental property? At this point, I don’t know. But I do have my eye on the local real estate market. When a house comes on the market that I really like, I might just buy it. Would you ever consider becoming a landlord? Why or why not? Would you buy a third rental property if you were us? NextCheap Vegan Meals: Can You Be a Vegan on a Budget? Good morning, Holly!! Loved this post 🙂 We’ve been considering purchasing our first rental property, but with a baby on the way we’ll probably wait until early next year. Not going to lie, I would love to right now, though!! If I were you, I would absolutely buy another one!! You have the money, it’s a long-term investment, interest rates are super low, and like in your example you’d make way more than investing that money elsewhere. Go for it!! Could you pay off the mortgage even faster? I’m all about rentals being paid off faster if possible ( like 5 years)! But I really don’t know of another type of business besides running a business that will give the returns that real estate gives. I’m a huge fan of it! Maybe. That’s the idea. With $250 in profit each month, we could easily pay it down faster than 15 years. But you never know what will happen.. Some rentals have lots of turnovers and repairs, and others have almost none of that. For example, one of our rental properties has been completely trashed twice and had a lot of turnover. The other has had the same tenants for 8 years and is in perfect shape. We throw all our rental profits back at their mortgages, but you don’t know what your actual profits will be like until you’re in there. I’d love to become a landlord, but I think Nicole would shoot me if I were to suggest doing that right now, lol. That being said, I’d definitely consider it if I were in your situation. Y’all have the money, you already have plenty of experience with it and where else are you going to park the cash. Risks aside, I think it’s worth pursuing. Interesting post! I don’t know if my spouse could handle the risk associated with rental properties. How do you manage the variable repair and maintenance costs? Do you stockpile the $250 per month and then make one large payment on the loan? If you do pay extra per month then how do you float the cost of a new water heater, just for example? Covering the direct costs of a rental property seem similar to those of a primary residence but it’s the variable and maintenance costs related to the rental property which make me wonder mainly because those costs rest with the renter and how well they maintain and care for your investment. We pay extra towards the mortgages every month than pay for repairs out of savings as they pop up. If a repair is expensive, I’ll generally reimburse myself from rental profits for a while until I’m “paid back.” Most repairs have been inexpensive or planned for, so it hasn’t been a big deal. We also keep an emergency fund so we can take care of whatever pops up. Having that extra money in the bank really helps. Really like the idea of having a separate emergency fund. I just bought my first rental property last year, there have been some hiccups but it’s doing okay. I think if the numbers work, I would go for it. I actually considered the Indianapolis area and read that there are some areas that are appreciating too near the fountain square area. If I had the funds, I might look into that area again. I like having rentals, but I think that without Jon being able to do most of the work (repairs and maintenance) it would not be as good an investment. Also, our rentals are in 3 different cities, which makes keeping up a lot harder without using management companies. But if I could find the right property at the right price, I’d be on board. Yea, it’s nice that my husband can do some of the repairs, when needed. That certainly helps! I think that the decision is entirely based on whether you want to add more work to your plate. Even if you don’t manage the property yourself you know that it still adds more work. Also depends on your level risk tolerance but from the post you seem comfortable taking on another mortgage. Something similar happens to me all the time in the electronics section at Costco. I’m comfortable taking on another small mortgage, but only for 15 years. I wouldn’t do thirty. I like a little risk, but I hate debt! Good to hear! I too hate debt. Thanks for the relply btw, and keep writing those income reports! That’s a tough one, Holly. 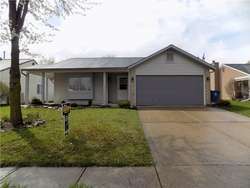 We have two single family rentals in Indianapolis as well, and they have been good little money makers for us so far. But since the property taxes are double for rental properties in Marion, we’re not entirely sure we’d take the plunge on any more. However, you have the ability to manage them yourselves without a property manager, so I’m sure they are more profitable for you. We are similarly thinking about getting a third rental property, by renting our primary residence and moving to a new property in Arizona. It’s a tough decision, because we’re not keen on taking on more debt so close to early retirement. Being able to manage them ourselves does make a huge difference. That’s 10% of the rent we don’t have to pay anyone. For us, self-management works well. I’m not sure I would own rentals if I had to use a property manager. I’m a control freak! I think a lot of the real estate and landlord is the hassle factor, from reading previously your other rentals are humming along with very little vacancy and very little in repair. However, if this would take a turn in the other direction it would be tough to take a near break even point for 15 years of hassle factor. One never really knows until you are in and renting, etc as you mentioned. In the end I’m pro on rental real estate, I think it’s a great tool to create wealth over time. Good luck if you decide to make the 3rd rental purchase. If I were in your position, I would get a third rental property. I love that you live in such an affordable area! Here in the Washington, DC area, you can’t even get a one-bedroom condo for those prices! Interesting post, Holly! If I was in your situation, I would definitely take on the third property. You guys have the experience and cash to make it work for you. It may even allow you to retire a little sooner…you never know. Buying a rental property is on our radar. We’ve been a bit hesitant to take on the extra work of being landlords, but hubby is very handy and I’m pretty organized, so I am sure we could make it work. Thanks for sharing your positive experience – I often hear rental property horror stories that scare me off. Go for it. Property 2 looks nice assuming it passes inspection. Living in Silicon Valley, the downpayment on my 2 BR condo would have bought the property outright. Definitely looking forward to moving to a more target-rich environment in the future. It\’s a nice plus that with your timeframes everything will be paid off by your planned retirement date. At that point, a 10% bite to have the properties managed for you would be a small price to pay for the freedom. Every investment is a risk but it sounds like you’re in the best possible position to take it on. You have all your other bases covered, you’re not exposing yourself to risk that you can’t cover if you have to. You can basically dictate your terms as far as the buy goes since this is an investment and you don’t HAVE to buy anything that doesn’t fit the bill. I AM a landlord so I definitely would consider it : ) Our plan is to turn our current home into a stand-alone rental property in about 8 years and then buy a new house with other funds. It’s a fun goal to have because you really have to challenge yourself to have the funds for that next house without tapping your current one. I would go for it if I were you guys. Especially with your work setup I think it would be a great thing to invest in. It sounds like you’ve got some good reasoning to go ahead and purchase a third property and I think you should as well. You probably hear this a lot, but those house prices are super low! Even when I live in the Midwest homes are not that affordable so I think you can definitely enjoy the benefits of this initial investment when you retire. We’re looking into rental properties at the moment. If you find a great deal it can be a great investment, especially since the cost of housing is so cheap where you live (I’m in the DC Metro area. I’m jealous). BiggerPockets has a really good online calculator where you can run all the numbers and see if the deal would be profitable. Best of luck! It’s a great question and I think it sounds like your money is better off invested, rather than earning a tiny amount of interest. Other than suggesting Dividend Growth Stocks or perhaps a Vanguard low cost index fund, it sounds like real estate is a good choice for you. If you’re happy managing 2, why not 3? (Would you stop at 4? 5? 6? At some point I’d imagine it would get overwhelming). For us, we are a very long way away from investing in real estate. We are currently trying to have a baby through IVF, so we need to save for that. On top of that, it seems as though Australia is going to have a bit of a property downturn over the next 3 years, so even if we were looking to buy, then we’d wait until 2019 or 2020 to do so. Sounds like a great time/investment. I’m a little jealous you can get such good returns. Makes me almost wish I was American! Property is really expensive in my home country of New Zealand. 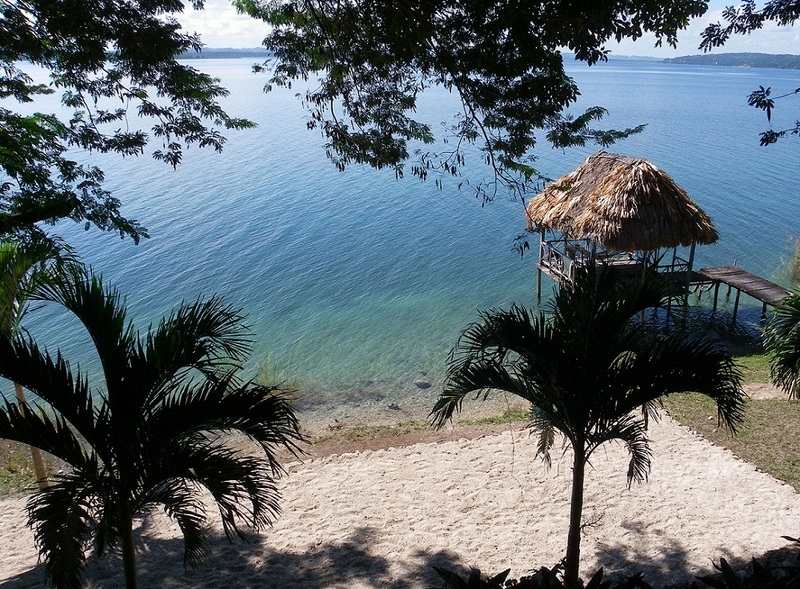 I’m looking to buy an apartment with my boyfriend here in Guatemala for Airbnb, so we’ll see how that goes! Are your other two rental properties close to being paid off? If so, why not go for the third? Especially if you are okay with the additional work and risk. In my mind I would love to have a rental property – but actually doing it is another story. I’m not good with taking risks. However, if I had a full 20% payment and additional savings for repairs right off the bat I may feel more comfortable. I am not at that point yet…but maybe I will be one day. It sounds like owning a third rental property aligns with your goals and lifestyle (both now and in the future). Looking forward to seeing what you decide. I have a condo in California. rents are very expensive. I am in the last phase of selling my condo for a 75K profit. I wanted to buy a bigger condo with washer and dryer. the one I have now is apartment style I have someone above me, my parking seems like a block away and I don’t have washer & dryer hookups in my unit. I can’t afford two condos but if I had the money I would likely keep this one and buy another. I get mad at myself for not making more money to afford or being more frugal. I enjoy traveling so what do I do. The condos in California are not cheep but I have a feeling they will go down. Im torn!